This year’s Newcastle Therapeutic Tolerance Workshop boasted an international faculty and attracted participants from all over the world. Allan Mowat, Steve Cobbold and Georg Hollander form the first Panel Discussion. This was the third workshop in a series beginning in 2005. That first meeting, “Therapeutic Tolerance – Myth or Reality?” examined the potential of tolerogenic therapies in transplantation and autoimmunity. 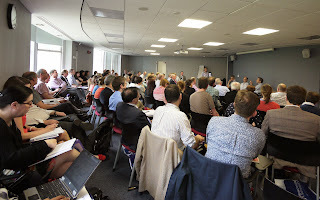 The second workshop, “Therapeutic Tolerance – Closer to Reality?” reviewed progress through to 2009. We learned about promising novel targets, the advent of cellular therapies and the use of ‘mini-transplants’ to reprogram dysregulated immune systems. In this third workshop, “Tolerance Inducing Strategies in the Clinic”, we learned of the first steps toward tolerance induction in the clinic. While tolerance induction might not yet be routine, the identification of potential tolerance biomarkers has allowed the design of trials of immunosuppressant weaning in transplantation. We are also starting to see in the clinic more patients with autoimmune disease in drug-free remission – though distinguishing transient disease remission from true immunological remission remains a challenge. And in allergic disease we learned of effective clinical strategies with clearly identifiable modulation of the immune response to specific antigens. Animated discussion during one of the poster sessions. 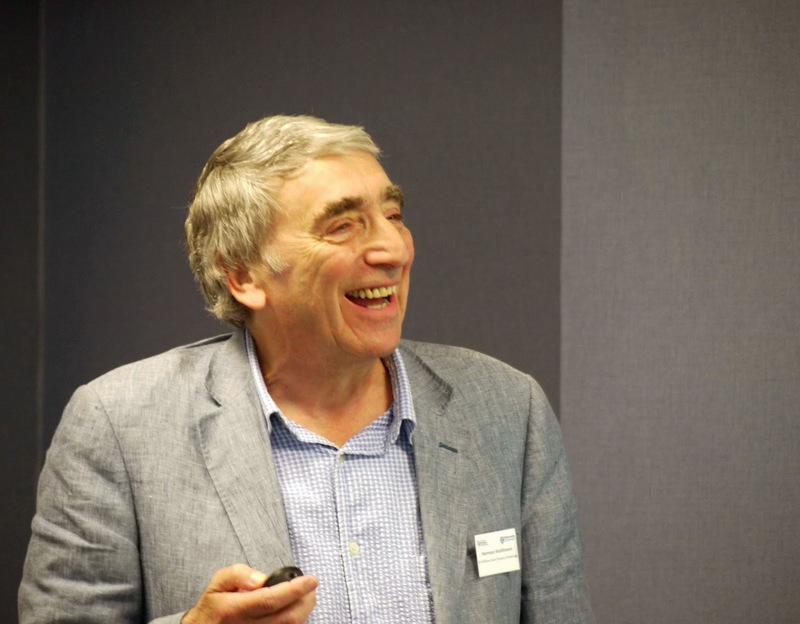 The workshop kicked off with a thought provoking keynote address by Professor Dan Littman on the shaping of the systemic immune repertoire by the intestinal microbiome. 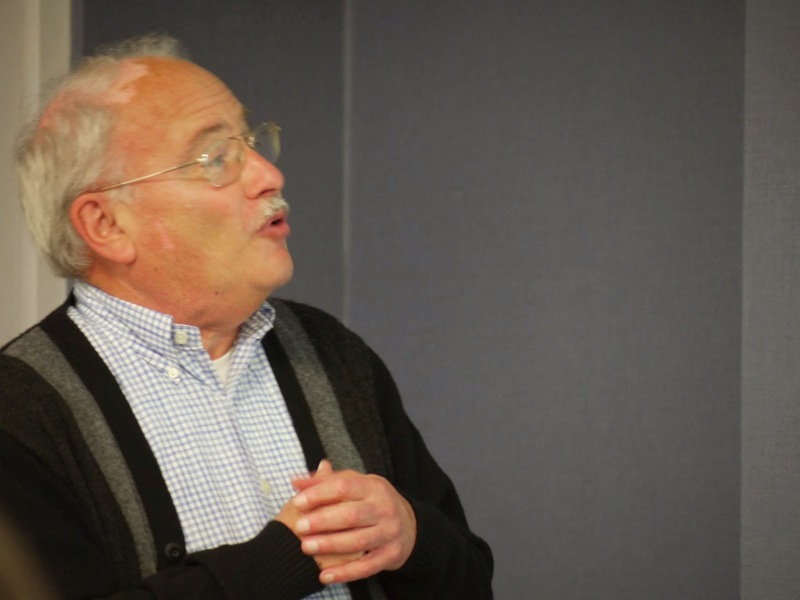 Dan Littman on the shaping of the systemic immune repertoire by intestinal microbiota. The afternoon featured highly stimulating presentations on the putative mechanisms underlying therapeutic tolerance. As usual, delegates found themselves engaged in a lively exchange between speakers and the floor. And the debate continued that evening at a BBQ in the Great North Museum. Ethan Shevach in full flow. Herman Waldmann enjoys the debate. Ethan Shevach and Herman Waldmann set the tone for the second day which picked up from the day before with a session on cells and the maintenance of tolerance followed by immune modulating strategies in the clinic. Closing the formal sessions with a presentation by Sir Roy Calne on prope tolerance, Herman Waldmann and Dan Littman gathered their wits for the first of the notorious debates. Drawing upon an armoury of dirty tricks Herman argued against the motion that therapeutic tolerance induction will require attention to the gut microbiome. Gracious in defeat, Herman conceded the debate to his opponent. Some of the exchanges were a source of great merriment. This second day closed with a Walking Tour of Historic Newcastle followed by dinner at the Centre for Life. Day three opened with a keynote address from Andrew Mellor on IDO and tolerance, before Sir Robert Lechler presented on biomarkers of clinical transplantation tolerance. Maximizing the clinical benefit of tolerogenic therapies dominated the morning session before moving on to tolerogenic dendritic cells. 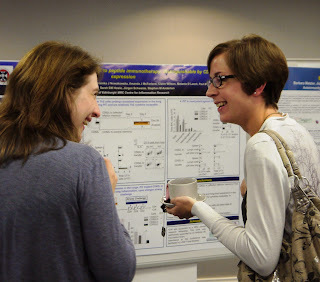 Attendees commented on the high standard of poster presentations. The winning oral poster presentation was by Megan Macleod of Glasgow University on the effect of tolerogenic antigens on CD4 memory T cells. The awards for the best posters went to Louisa Jeffery (Birmingham) and to Rhoanna Macpherson (Edinburgh). 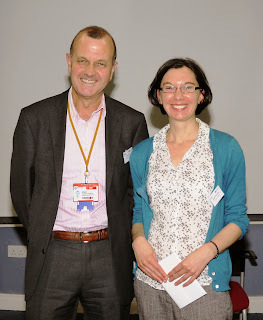 John Isaacs presents Megan Macleod with the prize for the best oral poster presentation. Andrew Mellor and Ethan Shevach entertained participants with the second of the live debates – This house believes that T-cell nutrition holds the secret to therapeutic tolerance induction. The final session on Cellular Therapies ended with a broad discussion of stem cell transplantation and therapies in the clinic. In his closing remarks John Isaacs thanked both the speakers and participants and was able to announce advance plans for a further workshop in 2017. For more exclusive photographs, check out our Facebook page @MRGNewcastle. Follow us on Twitter #MRGNewcastle.